Traditionally, veterans and members of the military tend to vote Republican. But will this year be different? 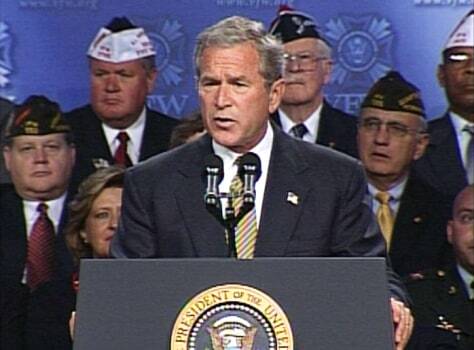 President Bush announces a major U.S. troop realignment in an address to the Veterans of Foreign Wars convention in Cincinnati.